The Pretender to a Throne (that is a juridical person legally recognized by the International Laws) can act when the debellatio lacks, that is, the losing of the sovereignty. Every Sovereign has to carry on the royal power apart from the way in which he has been deposed. In this way all the titles pertain to the Sovereign and to his descendants, they maintain their nature even if the Sovereign lost the real sovereignty of a Land: we have not to forget that the Sovereignty makes part of the Family Estate (even if it has lost the jus imperii – power to command -, the jus gladii – right to have the obedience of the people – and the jus majestatis – the right to have respect and honors). never lose His native quality: in this context take the origin the Pretendant to a Throne. In fact he maintains all his rights to the sovereignty and he can exercises it even if his juridical-institutional status has been changed. rights; that is the right to grant nobiliary and honorific titles of Knight Orders that made part of the personal dynastic Family’s Estate. The Chief of the above mentioned Prince Pretending to the Throne, has the prerogative of the fons honorum. Revolution filled the air at the end of the 1800s and beginning of the 1900s, destroying many ancient monarchies. The majority of the revolting nations replaced their thrones with communist governments. While democracy plods on from day to day, the heads of the Royal families deposed, continue to use their titles, claim their thrones, and interact with other ex-royals on a regular basis. A pretender is a claimant to an abolished throne or to a throne already occupied by somebody else. The term in itself is not pejorative. The original meaning of the English word pretend, from the French word prétendre, means "to put forward, to profess or claim". Pretender also is applied and to those with wholly fabricated claims as pretenders to Henry VII's throne Lambert Simnel. 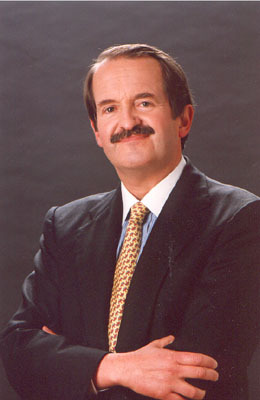 Lambert Simnel (ca. 1477 - ca. 1525) was a pretender to the throne of England. His claim to be the Earl of Warwick in 1487 threatened the newly established reign of King Henry VII (reigned 1485-1509). Perkin Warbeck (circa 1474 - 23 November 1499) was a pretender to the English throne during the reign of King Henry VII of England. Traditional belief claims that he was an impostor, pretending to be Richard of Shrewsbury, 1st Duke of York, the younger son of King Edward IV of England, but was in fact a Fleming born in Tournai around 1474. The "Perkin Warbeck" of the traditional tale was claimed to be the son of a French official, John de Werbecque and Katherine de Faro. Charles Edward Louis John Casimir Sylvester Severino Maria Stuart (31 December 1720 – 31 January 1788), commonly known in Britain during his lifetime as The Young Pretender, and often referred to in retrospective accounts as Bonnie Prince Charlie, was the second Jacobite pretender to the thrones of England, Scotland, and Ireland. This claim was as the eldest son of James Francis Edward Stuart, himself the son of James II of England. 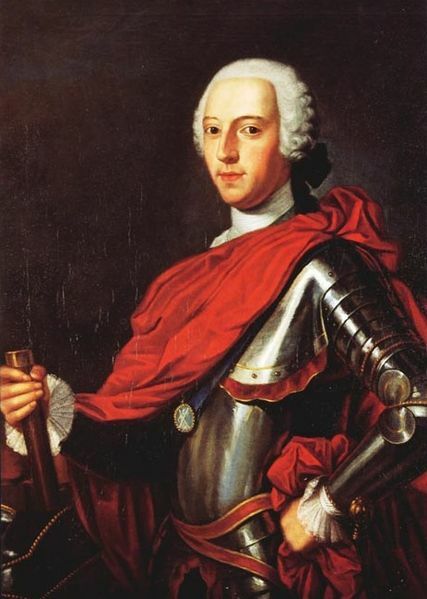 Charles is perhaps best known as the instigator of the unsuccessful Jacobite uprising of 1745, in which he led an insurrection to restore his family to the throne of the Kingdom of Great Britain, which ended in defeat at the Battle of Culloden that effectively ended the Jacobite cause. Charles's flight from Scotland after the uprising has rendered him a romantic figure of heroic failure in some later representations. In 1759 he was involved in a French plan to invade Britain which was abandoned following British naval victories. A Papal pretender is instead called an Antipope, but some Antipopes did rule as Pope, and might only be declared an Antipope afterward. An antipope (Latin: antipapa) is a person who, in opposition to a sitting Bishop of Rome, makes a widely accepted claim to be the Pope. There have been several anti popes throughout the history of the Roman Catholic Church. The period when antipopes were most numerous was during the struggles between the Popes and the Holy Roman Emperors of the eleventh and twelfth centuries. The emperors frequently imposed their own nominees, in order to further their cause. (The popes, likewise, sometimes sponsored rival imperial claimants in Germany in order to overcome a particular emperor.) Rival claimants to the papacy were also common during the Western Schism and the Avignon Papacy. 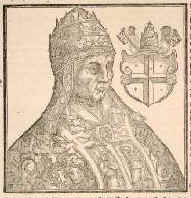 (Above: Antipope Felix V, the last historically significant Antipope). Ancient Rome was a civilization that grew out of a small agricultural community founded on the Italian Peninsula as early as the 10th century BC. Located along the Mediterranean Sea, it became one of the largest empires in the ancient world. Ancient Rome knew many pretenders to the office of Roman Emperor that ruled of the Roman State during the imperial period (starting at about 26 BC), especially during the crisi of the Third Century (also "Military Anarchy" or "Imperial Crisis") (235–284 AD) was a period in which the Roman Empire nearly collapsed under the combined pressures of invasion, civil war, plague and economic depression. 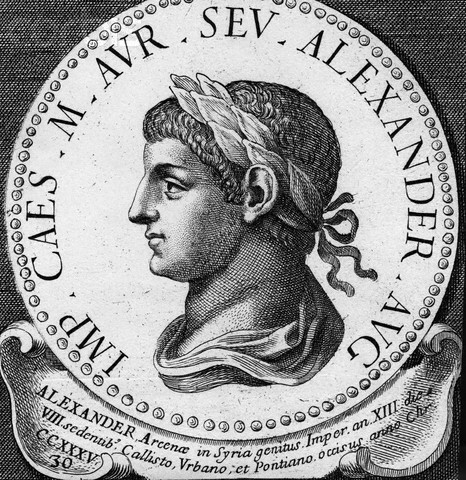 The Crisis began with the assassination of Emperor Alexander Severus at the hands of his own troops, initiating a fifty-year period in which 20–25 claimants to the title of Emperor, mostly prominent Roman Army Generals, assumed imperial power over all or part of the Empire. By 258–260, the Empire split into three competing states, with the Gallic Empire including the Roman provinces of Gaul, Britannia and Hispania; and the Palmyrene Empire, including the eastern provinces of Syria Palaestina and Aegyptus; becoming independent from the Italian-centered Roman Empire proper between them. 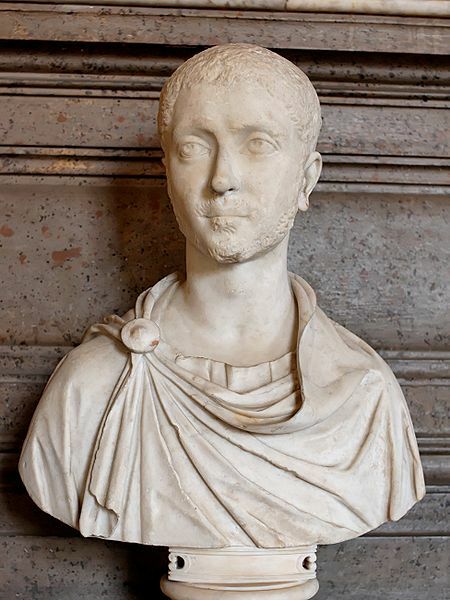 The Crisis ended with the ascension of Gaius Aurelius Valerius Diocletianus (c. 22 December 244 – 3 December 311), commonly known as Diocletian, was Roman Emperor from 284 to 305. These are customarily referred to as the Thirty Tyrants, which was an allusion to the Thirty Tyrants at Athens some five hundred years earlier; although the comparison is questionable, and the Romans were separate aspirants, not (as the Athenians were) a Committee of Public Safety. The Loeb translation of the appropriate chapter of the Augustan History therefore represents the Latin triginta tyranni by "Thirty Pretenders" to avoid this artificial and confusing parallel. Not all of them were afterwards considered pretenders; several were actually successful in becoming Emperor in at least in part of the Empire for a brief period. 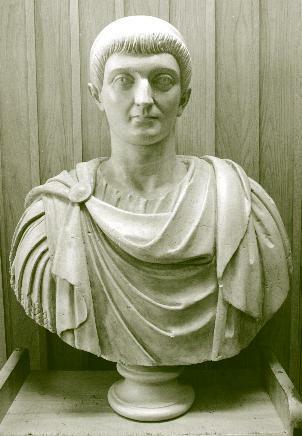 According to the investigations and published works of genealogist Christian Settipani, all the current royal houses of Europe, and some beyond, are for a long time descendants and potential heirs of most of Roman Emperors, as are many of countries' nobilities and even many commoners. 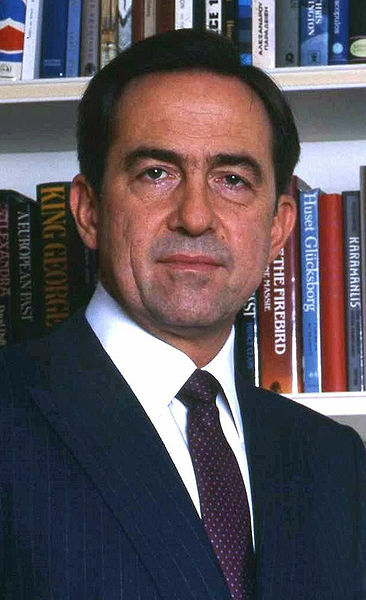 The claimant of the throne of the last Greek kingdom is Constantine II, who ruled as King from 1964 until the abolition of the monarchy in 1973, The sixth and last monarch of the House of Schleswig-Holstein-Sonderburg-Glücksburg (a branch of the House of Oldenburg), whose designated heir is his son Pavlos, Crown Prince of Greece. Constantine has never officially abdicated and remains a pretender to the Greek throne. He has continued to live abroad since 1967, but enters and leaves his native country freely and has a house on the coastal resort of Saronida, a village and a community in Attica 45 km from Athens. Most seriously, after the fall of Constantinople to the Fourth Crusade n 1204, and its eventual recovery by Michael VIII Palaiologos or Palaeologus (1223 – 11 December 1282) reigned as Byzantine emperor 1259–1282. Michael VIII was the founder of the Palaeologan dynasty that would rule the Byzantine Empire until the Fall of Constantinople in 1453. He recovered Constantinople from the Latin Empire in 1261 and transformed the Empire of Nicaea into a restored Byzantine Empire However, Turk Beyliks began scattering Byzantine territory in 1260 and the Beylik of Menteşe was founded in Caria region. Following the defeat and death of King James III of Cyprus in 1474, his younger and illegitimate brother, Eugène Matteo de Lusignan, also styled d'Arménie (d. 1523) removed to Sicily, then to Malta. He was acknowledged as rightful heir of the thrones Cyprus, Armenia, Jerusalem, and Antioch, though he never made serious efforts to reify the claims. The title of "Barone de Baccari" was created in 1508 for Jacques Matteo d’Armenia with the remainder to his descendants in perpetuity. Eugene, illegitimate son of King Jacques II of Cyprus, had, when his family were exiled, first gone to Naples, then Sicily, then settled on Malta, marrying a Sicilian heiress, Donna Paola Mazzara (a descendant of the Royal House of Aragon of Sicily and Aragon), with issue. The establishment of the First Republic, on 22 of September 1793, and the execution of Louis XVI led to the king's son becoming pretender, styled as Louis XVII. As Louis XVII was a child and imprisoned in Paris by the revolutionaries, his uncle, the Comte de Provence, proclaimed himself regent in his nephew's name. After Louis XVII died in 1795, the Comte de Provence became pretender himself, as Louis XVIII. 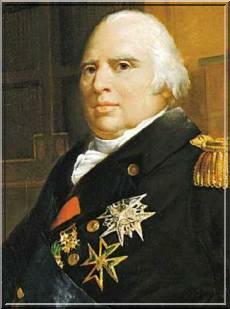 Louis XVIII was restored to the throne in 1814, and was succeeded by his brother Charles X in 1824. Charles X was, however, forced into exile by the July Revolution (The French Revolution of 1830, also known as the July Revolution). Charles X and his son, the Dauphin Louis-Antoine, abdicated their claims in favor of Charles's grandson, Henry, Duke of Bordeaux. However, their cousin the Duke of Orléans, a descendant of Louis XIV's younger brother, usurped the throne as Louis Philippe I. For most of the July Monarchy, the legitimists, as supporters of the exiled senior line came to be known, were uncertain of whom to support; some believed the abdication of Charles and his son legitimate, and recognized the young Duke of Bordeaux as king, while others maintained that abdication was an impossibility, and continued to recognize first Charles X and then Louis-Antoine, until the latter's death in 1844. One of these latter was the Duke of Bordeaux himself, who on his uncle's death proclaimed himself king as Henry V, taking the title in pretense of "Count of Chambord". In 1848, Louis Philippe himself was overthrown by the February Revolution (The February Revolution of 1917 was the first of two revolutions in Russia in 1917) and himself abdicated the throne in favor of his young grandson, the Count of Paris. However, a republic was proclaimed, leaving the Count of Paris, like his cousin Chambord, merely a pretender to a no longer existing crown. Over the next several decades, there were several attempts at a so-called "fusion," which would unite both groups of monarchists together, presumably on the basis that the childless Chambord would become king, but would recognize the Count of Paris as his heir. Such efforts were fruitless in the 1850s, but after the establishment of the Third Republic in 1870, when a royalist majority was elected to the Chamber of Deputies, these efforts were renewed. As a result, in 1873, the Count of Paris withdrew his own claims to the throne and recognized Chambord as the legitimate pretender to the French throne. In spite of this apparent unity among the monarchist forces, the restoration of the monarchy was not to be; Chambord refused to accept the Tricolor flag. The monarchists decided to wait until Chambord's death, but lost their majority in parliament in 1877, making a restoration impossible. Following Chambord's death in 1883, the majority of French monarchists accepted the Count of Paris as the pretender to the French throne. A small minority of ultra-reactionaries refused to accept this designation, and chose instead Don Juan Carlos María Isidro de Borbón, Count of Montizón (May 15, 1822 – November 18, 1887) was the Carlist claimant to the throne of Spain from 1860 to 1868. The arguments are, on one side, that Philip V of Spain renounced any future claim to the French throne when he became King of Spain, and that the Dukes of Orléans were therefore recognized as the next heirs before the French Revolution (1789–1799). On the other side, that this renunciation was invalid and impossible, and that Philippe Égalité and Louis-Philippe forfeited any remaining right to the crown for disloyalty. The split has continued to the present day, with supporters of the senior line reclaiming the title of legitimist, while supporters of the Orléans line are once again known as Orléanists. The current representative of the senior line is Prince Louis Alphonse of Bourbon, Duke of Anjou, a cousin of the king of Spain, whose line was excluded from the Spanish throne due to an unequal marriage, while the Orléanist line is represented by Prince Henri Philippe Pierre Marie d'Orléans, Count of Paris, Duke of France (comte de Paris, duc de France), born on 14 June 1933, a descendant of Louis Philippe. In addition to these two claims to the historic royal throne of France, there has also been a pretender to the imperial throne of France created first by Napoleon Bonaparte in 1804 and recreated by his nephew Louis-Napoléon Bonaparte (20 April 1808 – 9 January 1873) was the President of the French Second Republic and as Napoleon III. This claim today rests in the person of Charles, Prince Napoléon (Charles Marie Jérôme Victor Napoléon Bonaparte) (born 19 October 1950) is a French politician, descendant of the Jérôme-Napoléon Bonaparte, French Prince, King of Westphalia, 1st Prince of Montfort (15 November 1784 – 24 June 1860) was the youngest brother of Napoleon who made him king of Westphalia (1807–1813). The German Empire was a federation of a score of smaller monarchies, all of which are now abolished under modern republican Germany. As a result, there are a large number of claimants to various German thrones. The House of Hohenzollern is a noble family and royal dynasty of electors, kings and emperors of Prussia, Germany and Romania. It originated in the area around the town of Hechingen in Swabia during the 11th century. They took their name from their ancestral home, the Burg Hohenzollern castle near Hechingen. Since the abolition of the Germany monarchy in 1918, the heads of the House of Hohenzollern have claimed to be the titular Kings of Prussian and Germany Emperors. These claims are linked by the Constitution of the former (2nd) German Empire: according to this, whoever was King of Prussia, although that Empire was abolished, was also German Emperor. 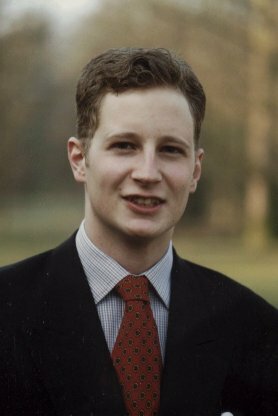 George Friedrich (born in 1976) is the great-great-grandson of William II (Emperor from 1888 to 1918) and is the head of the House of Hohenzollern. 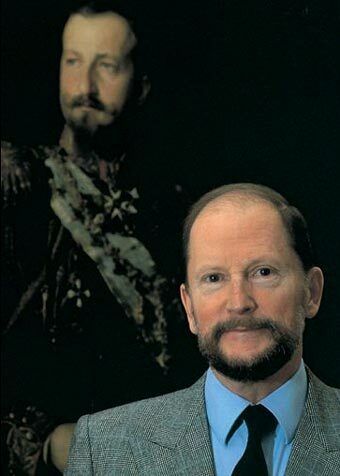 He succeeded his grandfather, Prince Louis Ferdinand I of Prussia as head of the House of Hohenzollern in 1994. As head of the house he is occasionally styled His Royal Highness The Prince of Prussia, or alternatively His Imperial and Royal Highness The Prince of Prussia. The Law of Germany does not recognize princely titles, but German civil law these titles are considered to be a part of a person’s surname. Two of his uncles took him to court over his position as head of the House of Hohenzollern, and after many cases, the Federal Constitutional Court of Germany stated that Georg Friedrich was the full heir of his grandfather and that the two uncles were entitled to a small portion of the Prussian inheritance. Grand Duchess Maria Vladimirovna is regarded by Russian monarchists as the Head of the Imperial Family of Russia and Titular Empress and Autocrat of All the Russias since 1992. Throughout her life she has used as her title and style of pretension Her Imperial Highness Grand Duchess Maria Vladimirovna of Russia. She was born in 1953, the daughter of Grand Duke Vladimir Cyrillovich of Russia, considered by some as the Head of the Imperial Family of Russia and Titular Emperor of Russia. Since 1917 the Russian Imperial House is forced to be in exile, but continues to exist according to its unshakable / firm juridical and historical basis. 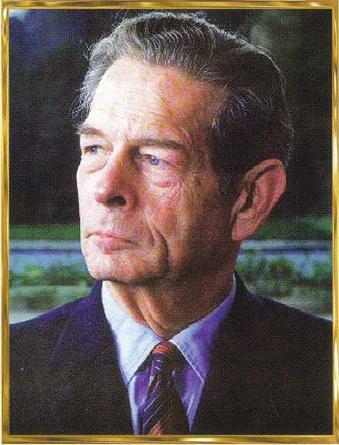 Otto, Crown Prince of Austria or Otto von Habsburg (born 20 November 1912 as Archduke Franz Joseph Otto Robert Maria Anton Karl Max Heinrich Sixtus Xaver Felix Renatus Ludwig Gaetan Pius Ignatius of Austria) is the current head of the Habsburg family and the eldest son of Karl of Austria, the last Emperor of Austria and last King of Hungary, and his wife, Zita of Bourbon-Parma. Otto lives in Bavaria in Germany, and is a German, Austrian, Croatian, and Hungarian citizen. Although his official name in Germany is Otto von Habsburg, he is referred to as Otto Habsburg-Lothringen by Austrian authorities. He is also often known as Archduke Otto of Austria, Crown Prince Otto of Austria, and in Hungary, simply as Habsburg Ottó. Otto passed away on July 14, 2011. Duarte Pio is the 24th Duke of Braganza (Portuguese Duque de Bragança) and the pretender to the throne of Portugal. He was born in Berne, Switzerland, the eldest son of Duarte Nuno, Duke of Braganza and his wife Maria Francisca de Orleans e Bragança, princess of Brazil. At the time of his birth Duarte’s family was banned from entering Portugal by the laws of exile of December 19, 1834 and October 15, 1910. Although Portugal had been a republic since 1910, Duarte’s parents sought to assure the child’s eventual rights of succession to the Portuguese throne, which required Portuguese nationality, by arranging for his birth to take place in the Portuguese embassy in Berne. Duarte’s godparents were Pope Pius XII and Queen Amélie of Portugal, the mother of Manuel II, the last reigning king of Portugal. On May 27, 1950 the National Assembly repealed the laws of exile of December 19, 1834 and October 15, 1910. In 1951 Duarte visited Portugal for the first time accompanied by his aunt the Infanta Filippa. In 1952 he moved to Portugal permanently with his parents and brothers. 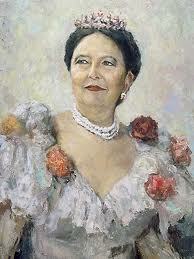 On May 13, 1995, Duarte married Isabel de Herédia, a Portuguese businesswoman. This was the first marriage of a member of the Portuguese royal family to take place in Portugal since the marriage of King Luís I in 1862. Also present were representatives of most European royal houses. Michael I, King of the Romanians, Prince of Hohenzollern (born October 25, 1921), reigned as King of the Romanians from July 20, 1927 to June 8, 1930, and again from September 6, 1940 until forced to abdicate by the Communists on December 30, 1947. 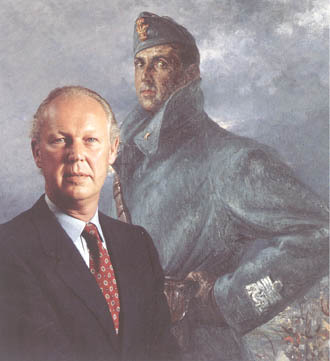 A great-great-grandson of Queen Victoria and a third cousin of Queen Elizabeth II, he is one of the last surviving heads of state from World War II, the other being Simeon II of Bulgaria. In November 1947 Michael traveled to London for the wedding of the future Queen Elizabeth II, occasion during which he met Princess Anne of Bourbon-Parma, who was to become his wife. After his return to Romania, Michael was forced to abdicate, on December 30, 1947. The Communists announced the abolition of the monarchy and its replacement by a people’s republic and broadcasted the King’s pre-recorded radio proclamation of his own abdication. On January 3, 1948 Michael was forced to leave the country. In March 1948 he denounced his abdication as forced and illegal. Crown Prince Leka of Albania (Leka I Zogu), (born April 5, 1939 - November 30, 2011, the Royal Palace, Tirana) is the only son of King Zog I and Queen Geraldine. 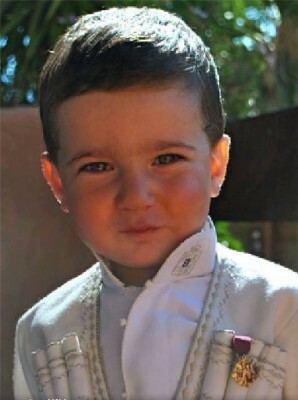 He was christened Crown Prince Skander at birth. He is the pretender to the Albanian throne. He is known, and is often referred to by many people including monarchists and members of the media, as King Leka I. King Zog I was forced into exile only two days after the birth of Leka and soon officially replaced on the throne of Albania by Victor Emmanuel III of Italy. Prince Leka began life in exile in various countries. After travelling across Europe, the royal family settled in England, first at The Ritz in London, then moving for a very short period in 1941 to Sunninghill near Ascot in Berkshire, and then in 1941 to Parmoor House, Parmoor, near Frieth. Leka became heir apparent of the abolished throne on 5 April 1957. At the death of King Zog I in 1961, Leka was proclaimed King of the Albanians by a convened Albanian National Assembly-in-Exile, in a function room at the Hotel Bristol, Paris. 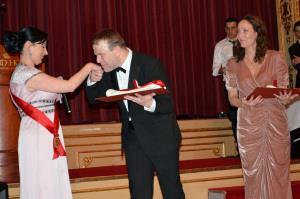 He also holds the position of Sovereign Grand Master of the Orders of Scanderbeg, Fidelity and Bravery. He was born, on the 26th March 1982, in Johannesburg in South Africa, of the union of King Leka I of the Albanians and Queen Susan. His grand-parents were King Zog I and Queen Geraldine. The young Prince has followed his studies in the St Peter's College of Johannesburg. The Royal Family of Albania has definitely returned in their country on the 28th June 2002. In 2004, the Prince has undergone a military training at the Military "Scanderbeg" Academy in Tirana and, in 2005, was admitted, like his father, at the famous British military Academy. 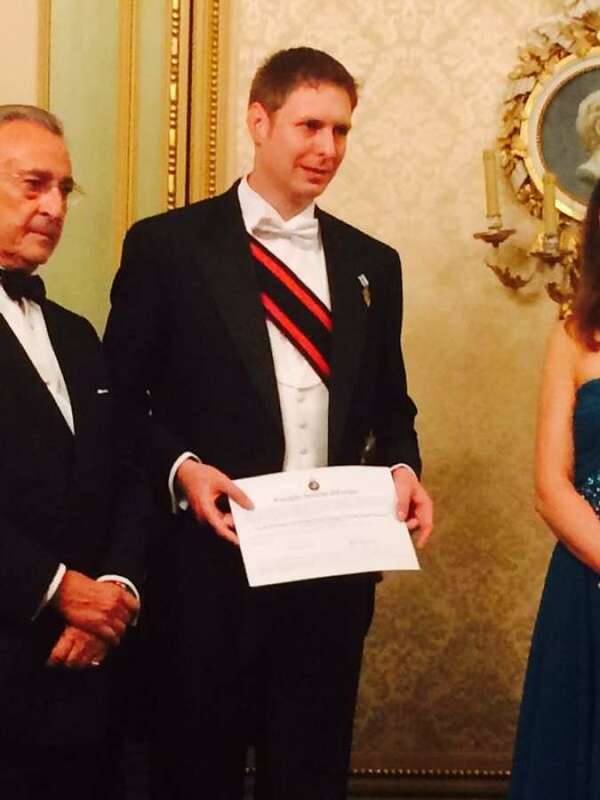 At the end of his courses at the British army, Prince Leka II was graduated as an officer. It was "the best foreign student of the Military Academy in Sandhurst". Back in Albania, the Prince has completed his formation in economic studies and has followed a special course in Italian language at the oldest and most prestigious Italian institution, the "Università per Stranieri di Perugia". In the meantime, he did also study law by correspondence. He speaks several foreign languages. On August 18, 2007, Prince Leka II became adviser to the Minister of Foreign Affairs and since July 2009, he is adviser to the Minister of the Interior. The prince is particularly active in the field of education of the Youth (He obtains special grants for studients at the "Royal University of Iliria - Universiteti Mbretëror Iliria" in Prishtina, Kosovo. (http://www.uiliria.org/cms/) and is involved in humanitarian action in favor of the most disadvantaged persons (He is the Patron of the Association "SOS orphans of Albania"
Tsar Simeon II of Bulgaria or Simeon of Saxe-Coburg and Gotha (born June 16, 1937) was head of state as the Tsar of Bulgaria, Tsar Simeon II, from 1943 to 1946. He served as Prime Minister of Bulgaria from 2001 until August 2005. His legal name as a Bulgarian citizen, and the one he uses as a politician, is Simeon Borisov Sakskoburggotski. He is still mostly referred to as Tsar Simeon II, or simply “The King”. 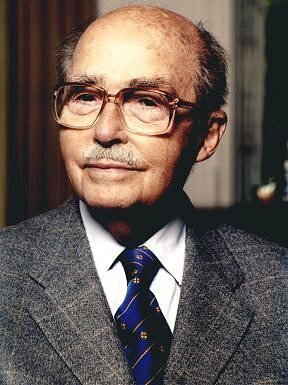 Simeon II is one of the last living heads of state from the World War II era and he is also the only monarch in history who later became head of the government through land-slide victory in democratic nation-wide elections, after 55 years of exile imposed on his family by the communists. It was a first for Bulgaria, for Europe, and for the world. Simeon II is the only living person on Earth who still has, since he never abdicated, the title of Tsar (ancient Slavic modification of the Latin ‘Caesar’). 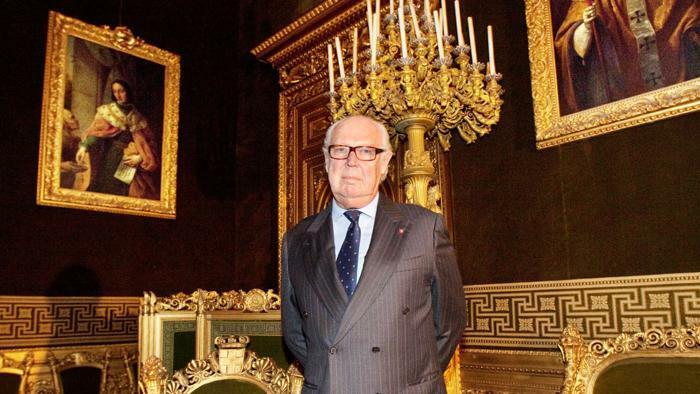 Vittorio Emanuele, Prince of Naples (Vittorio Emanuele Alberto Carlo Teodoro Umberto Bonifacio Amedeo Damiano Bernardino Gennaro Maria di Savoia) (born February 12, 1937) was the last Crown Prince of Italy and is considered to be a pretender to the defunct Italian throne. He is commonly known in Italy as Vittorio Emanuele di Savoia. Although the titles and distinctions of the Italian royal family have not been legally recognized in Italy since 1946, the titles are still legally recognized in many other countries such as Belgium, and he is often styled Prince of Naples out of courtesy, particularly by supporters of the former monarchy. 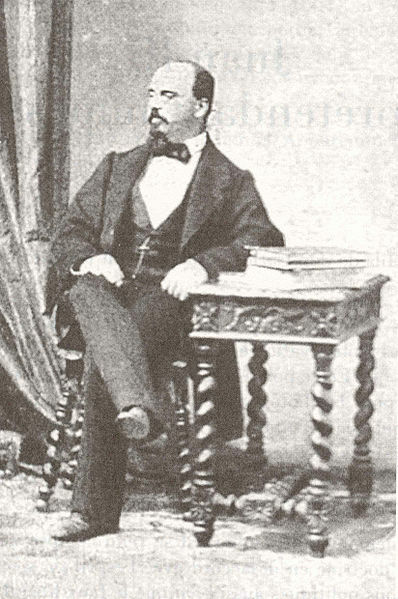 Vittorio Emanuele is known to some Italian monarchists as Vittorio Emanuele IV. He has lived for most of his life in exile – following a referendum in 1946 in which a majority of the Italian people voted for Italy to become a republic. On October 23, 2002, the provision in the Constitution of Italy that barred the male descendants of the House of Savoy from setting foot in the Italian Republic was abolished, permitting Victor Emmanuel to re-enter the country after November 10 of that year. On his first trip home in over half a century, he and the Princess of Naples, and their son the Prince of Venice, had a 20-minute audience with Pope John Paul II at the Vatican. Victor Emmanuel told the press that the audience with the supreme pontiff was "very important" to their family and that "it [was] almost a page in history." King Umberto II, the last king of Italy, however, did not abdicate his position as fons honorum (or fount of honours). Indeed, when he left Italy, he took the hereditary Grand Masterships of the dynastic orders of his royal house with him. These orders were Ordine Supremo della SS. Annunziata (The Supreme Order of the Most Holy Annunciation) and Ordine dei Santi Maurizio e Lazzaro (The Order of Saints Maurice and Lazarus). Umberto II held these unto his death in 1983. In addition to being the Sovereign and Grand Master of the Supreme Order of the Annunciation, and of the Order of Saints Maurice and Lazarus, Victor Emmanuel holds a number of other honors. He holds, particularly the Civil Order of Savoy, and the Order of Merit of Savoy. As the head of a royal house in exile, he also holds many other dynastic orders. He is Bailiff Grand Cross of the Sovereign Military Order of Malta, and Bailiff Grand Cross of Justice of the Constantinian Order of St George. He also holds several Russian dynastic orders, including the Order of Saint Andrew, Grand Cross of the Order of Saint Alexander Nevsky, the Order of the White Eagle, and the Order of Saint Anne. He is also a Knight of the Order of the Redeemer of Greece, and the Order of the Immaculate Conception of Vila Viçosa. 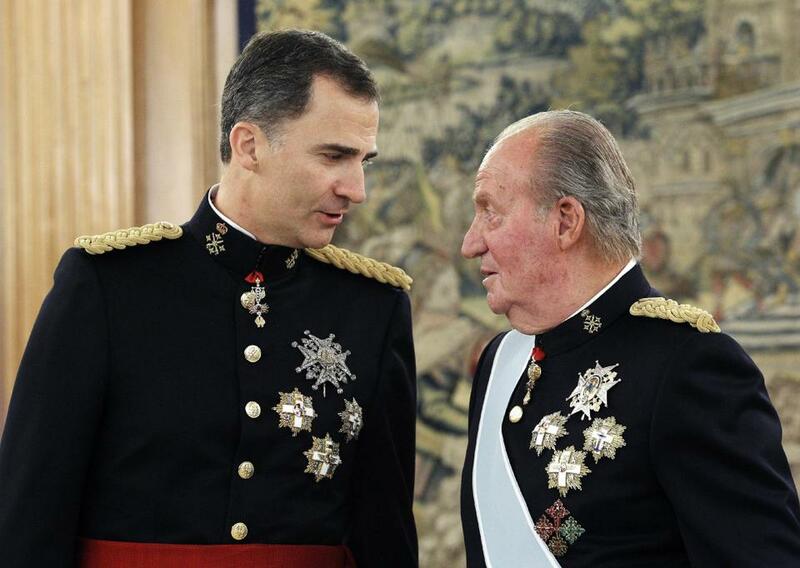 He also claims the title of "King of Jerusalem"; this title is also claimed by King Juan Carlos I of Spain. 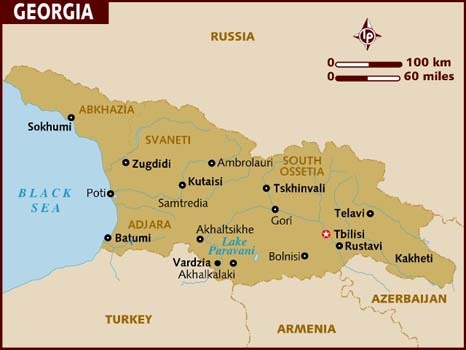 The nation of Georgia (Georgian: საქართველო sak’art’velo) was first unified as a kingdom under the Bagrationi dynasty in the 9th to 10th century, arising from a number of predecessor states of ancient Colchis and Iberia. The kingdom of Georgia flourished during the 10th to 12th centuries, and fell to the Mongol invasions of Georgia and Armenia by 1243, and after a brief reunion under George V of Georgiato the Timurid Empire. By 1490, Georgia was fragmented into a number of petty kingdoms and principalities, but after the rule of the father and son, Kings Teimuraz II and Erekle II Georgia started to strengthen. Under the King Erekle II in 1763 two separated kingdoms of Kartli and Kakheti had been united. Later in 1790 under the same King Erekle was signed a treaty named treaty of Iverians (Georgians). Important is that by this treaty king of imereti and all the rest heads of the principalities recognized King Erekle II as sovereign over them. 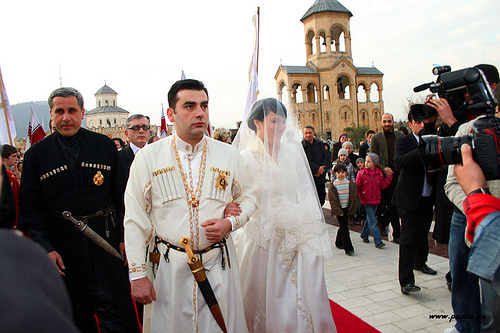 On 8 February 2009 the Royal wedding of Prince Davit Bagration-Mukhranski and HRH Princess Anna Bagrationi-Gruzinski Batonishvili (of Georgia) celebrated at Holy Trinity Cathedral of Tbilisi by H.H. Catholicos-Patriarch Illa II who has promoted the restoration on the monarchy. 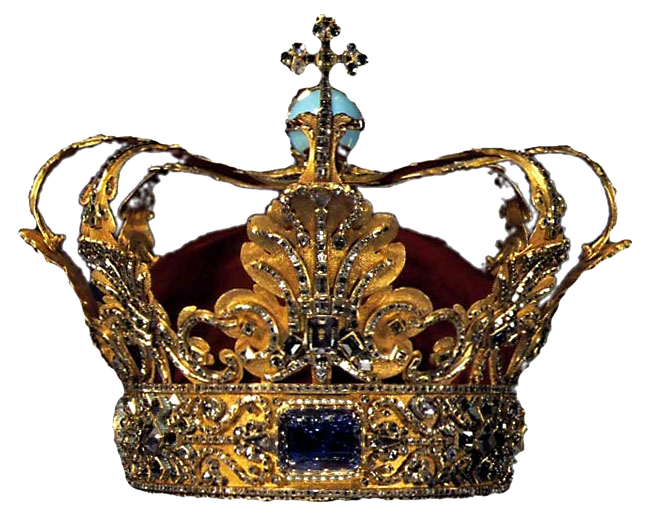 An agreement resulting from the marriage of Prince brings to an end any possibility of dynastic dispute in Georgia, as the bride is a princess of the Bagrationi-Gruzinsky Royal House, a branch of the Bagrationi family which had previously claimed a hypothetical right to be the royal house of Georgia, and the marriage reunites the two branches of the family. But does it? Anna, who was born in Tbilsi in 1976, is the daughter of Prince Nuzgar and his wife Leila Kipiani. Prince Nugzar claims his superiority over Prince David as he descends in the male line from the last king of the united Georgia Giorgi VIII (1446-1466) (Before the country was divided into parts) and also from the last king of Georgia, George XII, who died in 1800. This line of succession, which is a senior line to the Bagration branch, would make Nuzgar the king of Georgia, and his elder daughter, as heir. David's half-aunt and half-uncle, Princess Maria Paz and Prince Bagrat, released a statement to the media where they challenged David's position as the head of the Georgian royal house. 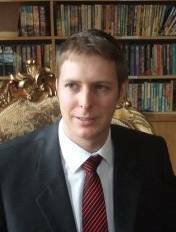 They claim to be the legitimate descendants of HRH Prince Irakly Bagration-Mukhrani, and they do not recognize David Bagration Zornoza as head of the Georgian royal house or heir to Georgia's non-existent throne. Maria and Bagrat also claim that their older half-brother, Jorge Bagration Pasquini, was removed from the succession by their father, Prince Irakly, although this statement contradicts comments made by Princess Maria in 1992. Nuzgar, a well-known stage and film director, has lived in Georgia all his life. He is the only member of his branch of the family to acquire Georgian nationality, and is seen by many as the head of the house, and heir to the non-existent throne. In 2006, a memorandum was signed by the House of Bagrationi in which Nugzar Bagrationi-Gruzinski was recognized as the Royal heir to the throne. The memorandum confirms the legal, historical, and genealogical reasons why he is the Royal heir. Additionally, the memorandum contains legal documents from historians of the Georgian Academy of Sciences, recognition of Prince Nugzar as the rightful heir from the Georgian genealogical society and the assembly of the Georgian nobility, and historical documents preserved in the libraries of the Georgian and Russian State Archives. Furthermore, the memorandum contains recognition of Prince Nugzar as the rightful heir by the all-Russian Monarchy Centre, the scientific board of the Moscow Memorial Museum of the Russian Imperial Name, and the Peter-Paul Imperial Society. Today, women reign in Britain, Netherlands, and Denmark and their dynasties are continued through the female lineage. The kings of Romania and Sweden named their daughters future heirs to the throne. Georgia settled the issue back in the middle ages and the throne was occupied by the King of kings Tamar, King of kings Rusudan, King – queens of Hereti Dinara I and Dinara II, Queen Regent of Kakheti Ketevan, King – queen of Imereti Darejan. i.e. if the monarch has no daughter the dynasty continues through the female line. Prince Nugzar accepted the proposal of the Catholicos Patriarch Ilia II, to pass the Royal title to the grandchild through the line of his daughter, as, naming the future heir to the throne is the prerogative of the head of the Royal House and not of unauthorized persons. But because the legally binding marriage contract was not signed, dynastic law was not met by Prince David. Consequently, according to Georgian dynastic law, any children born from this marriage, including Prince Giorgi, will not be royals or dynasts. Instead, they will be members of the Bagration-Mukhranski princely line. This cannot change unless Prince David agrees to sign and honor the marriage agreement and Georgian dynastic law. It is important to note that a male descendent of the Royal House has priority over any females in the line of succession. This way he will surpass his older sisters in the line of succession - HRH Princess Irine and HRH Princess Mariam who are the dynasts of the royal house of Georgia. Were Prince Giorgi to become a dynast, he would be the heir apparent to the throne after his mother. The second marriage of H.R.H. Princess Anna of Georgia with Prince David on 8 February of 2009, Prince Giorgi (picture when he turned two year old on September 27, 2013). Despite the desire of H.R.H. Prince Nugzar, under Georgian traditions and dynastic law, he cannot name his newborn grandson Prince Giorgi as a future heir and a royal dynast. This will eventually result in widespread confusion regarding who holds the dynastic rights (after Princess Anna). Were Prince Giorgi to become a proper royal dynast, he would surpass his elder sisters H.R.H. 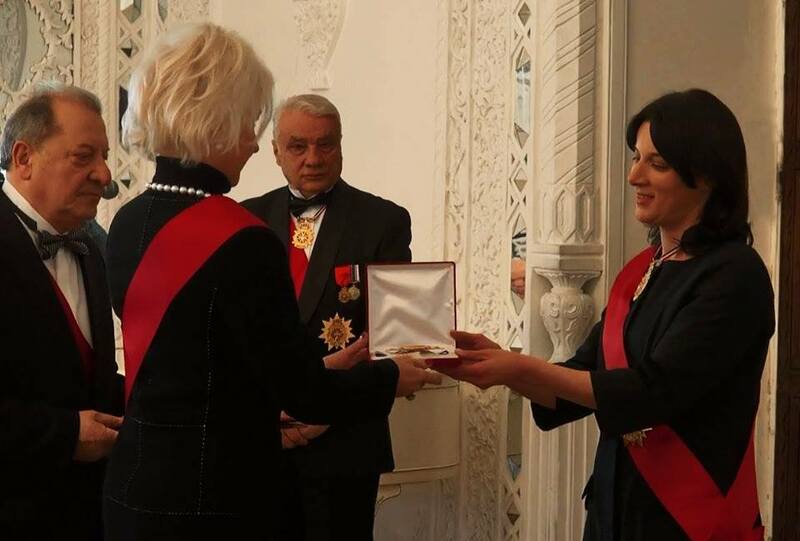 Princesses Irine and Mariam Bagrationi-Gruzinskis in the line of succession under Georgian tradition. This is because Georgia is not a member of the European Union and is therefore not bound to consider changing the royal succession to the eldest child, regardless of gender. H.R.H. Prince Nugzar still wants Prince Giorgi to become a lawful heir, and this is also your wish. Therefore, Prince Giorgi could still become a royal dynast if you will convene the Holy Synod and judge that: The marriage between Prince David and H.R.H. 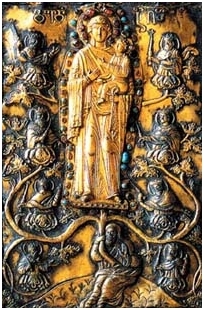 Princess Anna on 8 February of 2009 should be recognized to be in accordance with the Georgian dynastic law of “Zedsidzeoba”. Under this law, Prince David would be recognized solely as the Prince consort for H.R.H. Princess Anna of Georgia. The royal dynast rights of Bagrationi-Gruzinski could then pass to Prince Giorgi upon Prince Nugzar’s death as Prince Giorgi would be a proper Bagrationi-Gruzinski heir. The kingly Kartli-Kakheti line of Bagrationi-Gruzinski would be maintained. Your Holiness and Beatitude, we believe that should the Holy Synod be convened and the status of the second marriage of H.R.H. Princess Anna conclusively determined, the proper succession of future heirs to the Georgian throne will be finally resolved. May God bless Georgia! 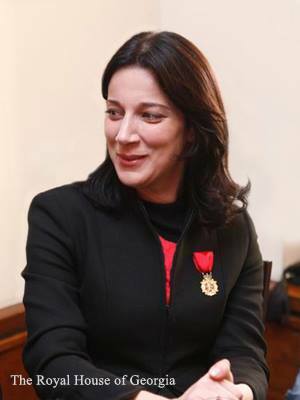 Professor Mariam Lortkipanidze, Doctor of Historical Sciences, head of the Georgian History Department at Tbilisi State University, leading scholar of the Javakhishvili Institute of History and Ethnography of the Georgian Academy of Sciences. 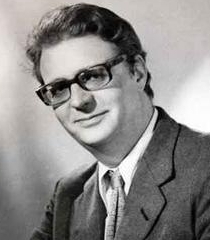 David Muskhelishvili – Doctor of Historical Sciences (1973), Head of Department of Historical Geography at Ivane Javakhishvili Institute of History and Ethnography of the Georgian Scientific Academy (1967), Real Member of the Scientific National Academy of Georgia (1993), Head of Ivane Javakhishvili Institute of History and Ethnology (1999-2006). Head of Commission of History, Archeology and Ethnology of Scientific National Academy of Georgia (2007 - present). Roin Metreveli is a Georgian Academician and historian. He was the first elected rector of the Tbilisi State University, after Petre Melikishvili and Ivane Javakhishvili. He was a major editor of the Georgian Encyclopedia. 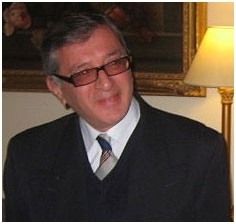 He is the author of more than 300 scientific publications and books about Georgian history and Caucasiology. For several years, he was member of the Georgian Parliament. He was Chairman of the Board of Rectors of all Georgian Universities. With a sense of responsibility towards his country, Crown Prince Nugzar Bagrationi-Gruzinski tries to compensate for the lost time that his country had lost during the Soviet era and even during the troubled years of the civil war. Unfortunately, many Georgian people still live in bad and poor conditions. To improve the social situation of such people, Crown Prince Nugzar Bagrationi-Gruzinski works with various donor organizations to implement charity in his own country under his patronage. Especially in Africa and Asia, most local Kings and Queens are limited to a status of a recognized traditional leader of an indigenous people or a group of peoples. Their ancestors signed treaties with the colonial governments and ceded their powers to the new rulers, accepting a leadership position within religion and society only. In exchange, the new authorities agreed to recognize them as Kings or Queens and leaders of their people, within their jurisdiction. They still appear as Kings and Queens according to their traditions and as authorized by the said agreements. They are Honorary Kings so to speak and as such absolutely genuine. However, although they are acknowledged by the government as traditional leaderships of indigenous peoples or ecclesiastical leaders, they lack the fundament for any kingdom: genuine Royalty or sovereignty. Under international and national law, the sovereignty and Royalty was permanently lost by signing said papers. Although the authorities tend to cooperate with these traditional leaderships, they are, in most cases, not a formal part of the hosting government system nor are they authorized to exercise any real governmental powers. The Sultan of Sulu is a traditional Muslim king and ecclesiastical titular head that governs over most Muslims in the Sulu Archipelago in the Philippines. The Sultanate also used to govern the state of Sabah in Malaysia. 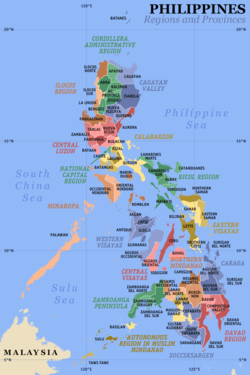 While the sultanate is not an internationally recognized entity it enjoys some autonomy and influence in the Philippines, particularly among the Muslim population of the country. The office was recognized by the government in Manila until 1936, then again from 1950-1986. The centre of government of the Sulu Sultanate kingdom was in Jolo. During their rule, Jolo became the centre of the Sulu Sultanate government and the centre of port trading. Confusion appears when talking about the Sultanates in the southern Philippines. The country sees the return of traditional Islamic leaders on its territories, since some years. Several of the re-emerging kingdoms are starting to flourish again and to increase their influence in society and even politics. In many of them the issue who is the current legitimate head is disputed by branches or families. However, although they are acknowledged by the government as traditional leaderships of indigenous peoples and ecclesiastical leaders, they lack the fundamental for any kingdom: genuine Royalty or sovereignty. Most, if not all, signed treaties with the colonial governments and ceded their powers to the new rulers, accepting a leadership position within religion and society only. Under international and national law, the sovereignty and Royalty was permanently lost by signing said papers. Although the Philippine authorities tend to cooperate with these traditional leaderships, they are not a formal part of the Republic nor are they authorized to exercise any real governmental powers. However, they are occasionally granted few powers on a case to case basis or positions in the government. While the Sultanate is no longer officially recognized by any reigning state as a sovereign state, some individuals have tried to claim the title of Sultan of Sulu and/or Sultan of North Borneo. The title of Sultan is an honorific, chartered by the carpenter agreement and recognized by the Philippine government as the title of the titular head of Islam and the traditional leader of the Tausug people. The Sultan does neither possess Royalty nor sovereignty under Philippine and international law. The Sultanate grants honorific titles to persons working within the leadership, corresponding to the ancient governmental, noble and royal titles used in the kingdom when it was a de facto or de jure sovereign entity. These titles are named traditional titles and the bearers are named traditional leaders by the Sultanate. These titles are purely honorific and must not be understood or even used as titles of nobility or Royalty under international law. Although they do not use it in office, it is hard to find any high ranking government official who does not bear such an honorific title from one of the Sultanates. Philippine Constitution expressly forbade the enactment of any law granting titles of royalty or nobility under Section 31, Article V1. Titles of "Honorary Datu" conferred by various ethnic groups to certain foreigners and non-tribe members by local chieftains are only forms of local award or appreciation for some goods or services done to a local tribe or to the person of the chieftain, and are not legally binding. Any contrary claim is otherwise unconstitutional under Philippine law. The Philippine government grants state honors and decorations, and through the system of awards and decorations of its Armed Forces of the Philippines and the Philippine National Police. These honors do not grant or create titles of royalty or nobility, in accordance with the Constitution.